The Northwest Region Healthcare Coalition’s next meeting is Thursday April 11th beginning at 10:30 am. This is normally an in-person meeting, however this year it will be via our conferencing system. Our May meeting will be in-person. The May meeting location will be announced once we have confirmed it. 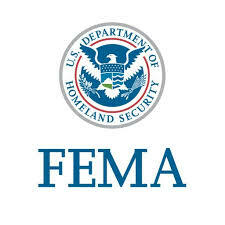 The Virginia Department of Health Office of Emergency Preparedness will be conducting the Community Based Emergency Response Seminar (CBERS) this spring throughout the state. This year’s topic will be an overview of the CHEMPACK Program. 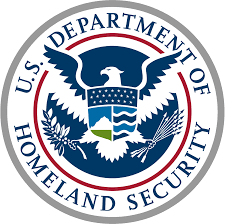 This Seminar is designed to provide attendees an overview of the CHEMPACK Program, recognition of nerve agent exposures, and awareness of the state plan in which attendees will be encouraged to return to their agencies to assist in reviewing and editing their local plan(s), assist in further developing their local training and protocols/plans. Please take time to review and share the attached flyer with dates, locations and registration information with coworkers and partners. The location in our region for this year’s CBERS is Augusta County Fire-Rescue, Preston L. Yancey Station, 2015 Jefferson HWY, Fishersville, VA 22939. There are two different dates and times for the training. Click here for the CBERS 2019 Flyer. *Continuing Education credits are awarded for the program. 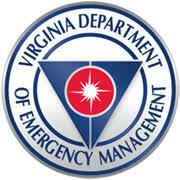 For more information see http://www.vdh.virginia.gov/emergency-preparedness/cbers-2019/ . In this issue of The Exchange, we discuss the challenges experienced by hospital support services staff involved in recent no-notice incidents (e.g., mass shootings). ASPR TRACIE interviewed healthcare practitioners and subject matter experts from the hospital nutrition, blood, and pharmacy fields to present a snapshot for planning consideration and to highlight how these professionals overcame challenges and incorporated lessons learned into their plans and policies. We hope that these real-life experiences shared by your colleagues across the nation help you plan (and adjust existing plans) for disasters and no-notice incidents. Please visit our resource pages on Mass Violence and Drug Shortages and Scarce Resources, and visit our Topic Collections on Pharmacy and Blood and Blood Products. The complete issue can be found here. Hurricane/Tropical Storm Harvey struck Houston and surrounding areas more than once, dumping close to 60 inches of rain over a wide swath of the area in just a few days. Hospitals became islands, roads were impassable, and military and public safety helicopters were brought in to evacuate people from their rooftops. Todd Senters (MHA, FACHE, Service Line Administrator and Facility Administrator at Baptist Beaumont Hospital’s [BBH] Orange Campus) shares how staff in his facility worked tirelessly to care for existing patients (and those who were dropped off by helicopter) just prior to having to evacuate due to a breach in the City of Beaumont’s water pumps. This event is open to the public and is geared towards professionals in the fields of Emergency Management, Public Health (ESF-8), Healthcare Coalitions, and additional stakeholders responsible for disaster response and recovery. Please click here to register for this event. Space is limited, reserve your spot immediately! 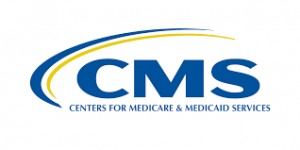 Provides for a 30-day exemption from the requirement to obtain a certificate of public need for an increase in the total number of beds in existing hospitals or nursing homes if the State Health Commissioner has determined that a natural or man-made disaster has caused the evacuation of a hospital or nursing home and that a public health emergency exists due to a shortage of hospital or nursing home beds. The Board of Health shall adopt regulations for this exemption. The bill was signed by the Governor and will go into effect July 1, 2019. For more information about this bill, please click here. The article begins with a story of one mother’s lack of vaccinating her child, and the reasoning behind not vaccinating her child. But, that all changed after she visited India and saw first hand how vaccinations can help prevent the spreading of diseases. The study was published today in the journal Pediatrics.